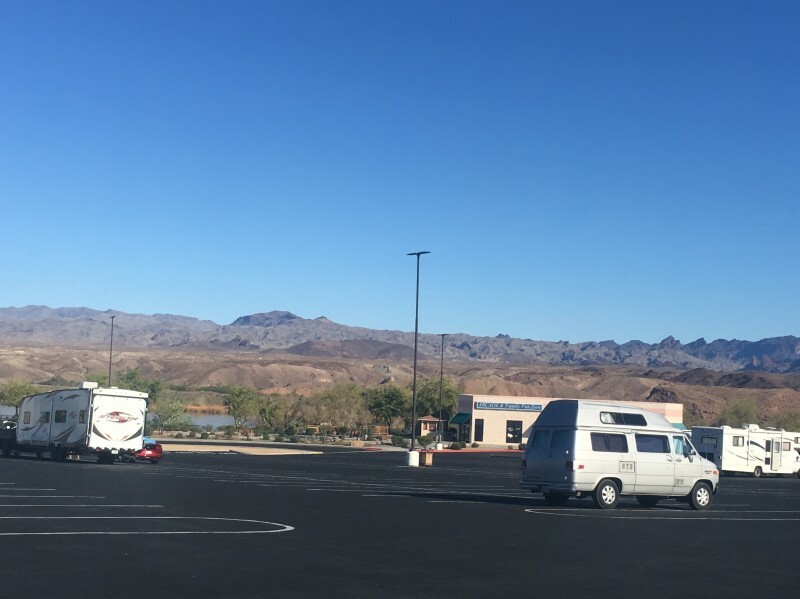 Lots of RV parking, as other have mentioned there is no real level spot. 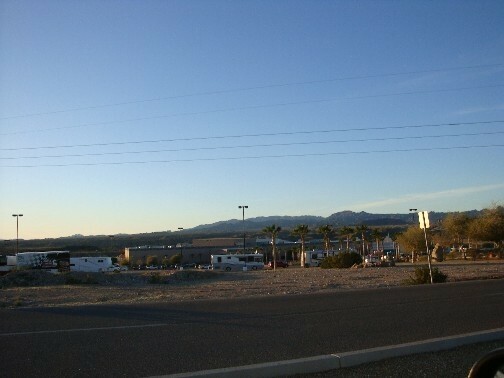 Great view as Casino is located along the Colorado River. Cinema and Arcade on site. Great home base for touring the area! We will definitely be back. Don’t forget to sign up for players club cards! Everything WanderingKolbs said. There are at least 60 rigs here tonight parked every which way on the upper part of the lot. No really level spots, but most are OK. Beautiful view of the mountains in the morning. 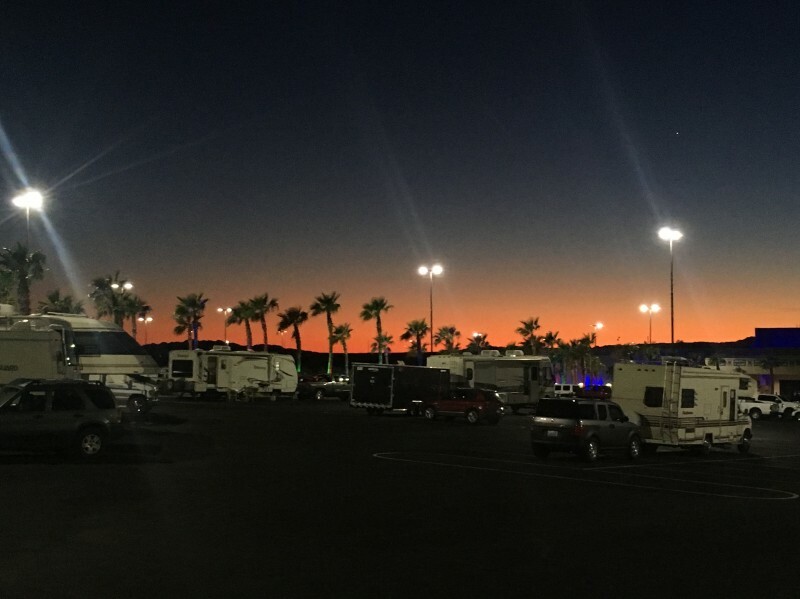 We stayed in the West parking lot for a few nights with no problem. Lots of RV's in and out. 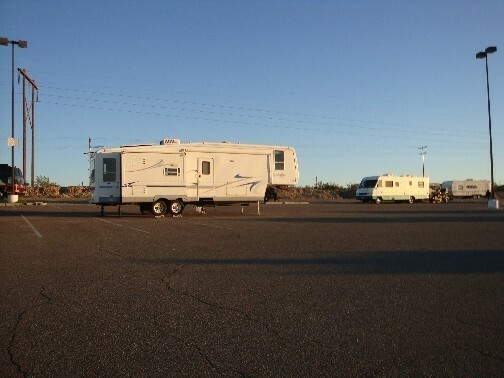 No specific designated RV lot. RV's all over. 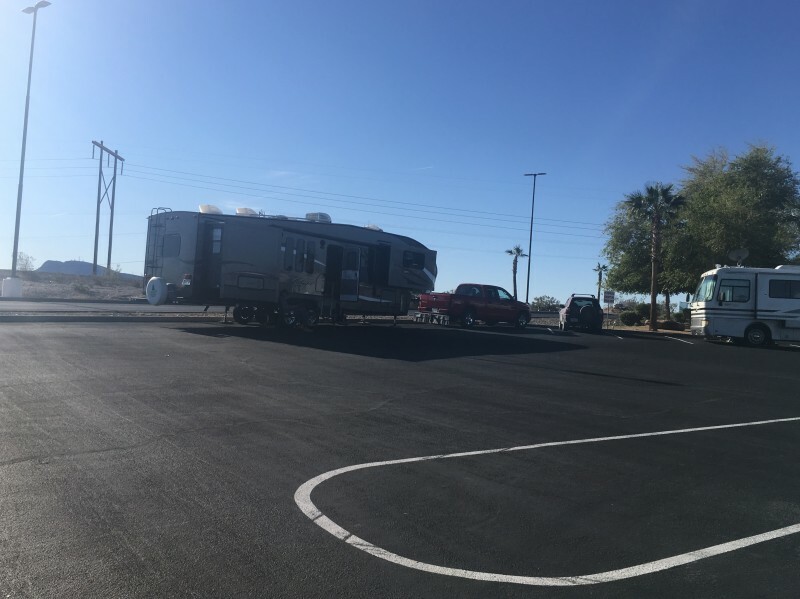 There is a small RV park next door but it was full. New players card members receive $10 free slot play on designated machines. Also get a 2 for 1 lunch at the Bluewater Grill. We ate a late breakfast Sunday buffet for our 2 fer bonus. It was decent with lots of choices...no waffles though. $11.95 for adults...$9.95 seniors. They only do weekend buffets. There is a movie theater on site as well as an arcade and Mexican Cantina down at the Colorado rivers edge. 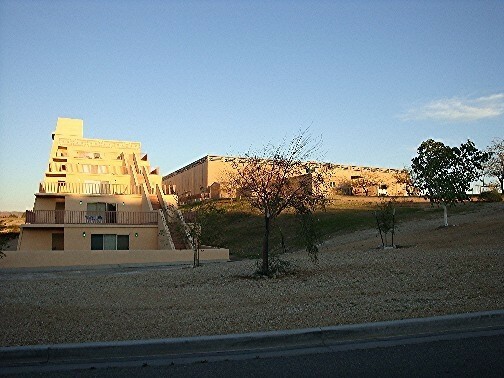 Close to Walmart and Safeway for shopping. 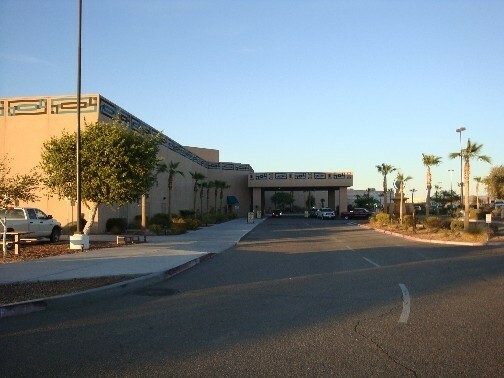 Take a drive out the the Desert Bar for an experience! Downside is the casino is small, food was not fabulous, and the parking lot is slanted. Upside is lots of room to park, concerts, decent players club freebies.